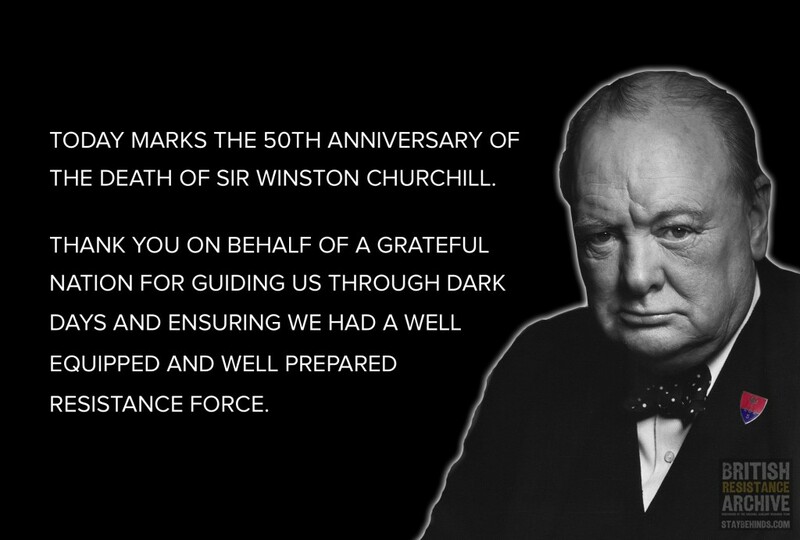 Today marks the 50th anniversary of the death of Sir Winston Churchill. Thank you on behalf of a grateful nation for guiding us through dark days and ensuring we had a well equipped and well prepared resistance force. “I have been following with much interest the growth and development of the new Guerrilla formations……known as ‘Auxiliary Units’. From what I hear these units are being organised with thoroughness and imagination and should, in the event of invasion, prove a useful addition to the regular forces”. The guerrilla type troops Churchill described became known as the GHQ Auxiliary Units or British Resistance Organisation. Colonel Colin McVean Gubbins then established a network of civilian saboteurs to attack invading German forces from behind their lines.